Pepsi was originally called "Brad's Drink"
Some of the soft drinks we know today originally started as patent medicines in the late 19th century — including Coca-Cola, which infamously contained cocaine. But when Caleb Bradham invented a drink in 1893 he set out to make it free of stimulants. It didn't even contain caffeine. He originally called it Brad's Drink, but by 1898 it would be trademarked using the name we call it today: Pepsi. 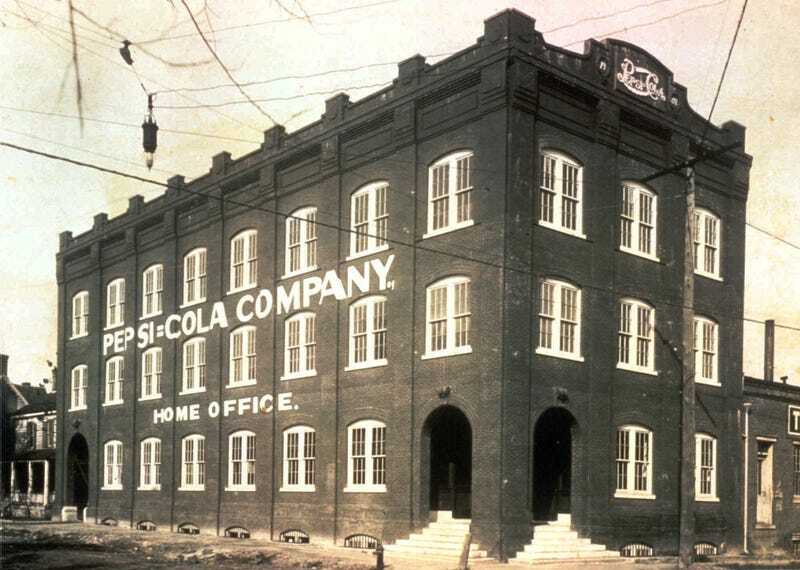 Image via Associated Press circa 1905: On April 5, 1905 Pepsi's first home office and bottling plant was built in New Bern, N.C.